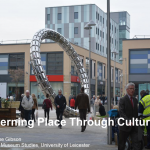 On the 24th April 2015, Lisanne Gibson and Eleonora Belfiore organised a one-day symposium at the University of Leicester to showcase emerging work from the ‘Histories’ strand of the project, which sees the team exploring in a critical-historical perspective present-day notions and discourses of participation, cultural value and the relations between them. 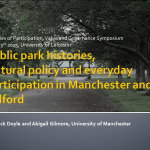 The aim of the symposium was to present material that will eventually be developed in published outputs for the UEP project, offer it up for comment, feedback and critique on the part of the audience. 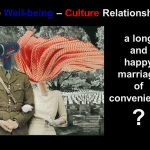 Attendants were drawn from UK academia and from a number of different disciplines and fields of enquiries that the UEP project engages with: cultural policy studies, museum and heritage studies, geography, cultural sociology, media studies, theatre and performing arts to mention just a few. We were especially pleased to have a number of arts professionals in the audience, including representatives from a number of UEP’s national stakeholder partner organisations: Voluntary Arts, Arts Council England and the Heritage Lottery, for instance, all were represented in the audience, and added a particularly valued practice- and policy-informed perspective to the discussion. 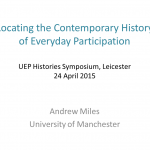 The symposium programme featured presentations by the UEP team, introduced by a guest keynote by Dr Mark O’Neill, Director of Policy & Research, Glasgow Life whose presentation, entitled ‘Historical Encumbrances & Contemporary Requirements’, helped making important connections between historical research, institutional values and museum practice which were echoed in different ways and contexts by several other presentations on the day. Team presentations were organised around three key thematic areas: Political discourses of participation and value, Culture and governance, Community, participation and cultural policy. These reflect the three sections that of the edited volume in which the material first presented at this symposium will eventually be published. 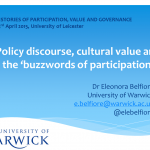 Eleonora Belfiore and Lisanne Gibson have secured a contract with Palgrave for an edited collection of UEP Histories essays entitled Histories of participation, values and governance, which will be part of the new series New Directions in Cultural Policy Research. The presentations given at the Symposium (and therefore the resulting edited collection) represent the project team’s contribution to the development of an in-depth historical understanding of the development of definitions, assumptions and beliefs around the nature and value of cultural participation, their place in contemporary cultural governance and exploitation in local socio-economic development strategies. 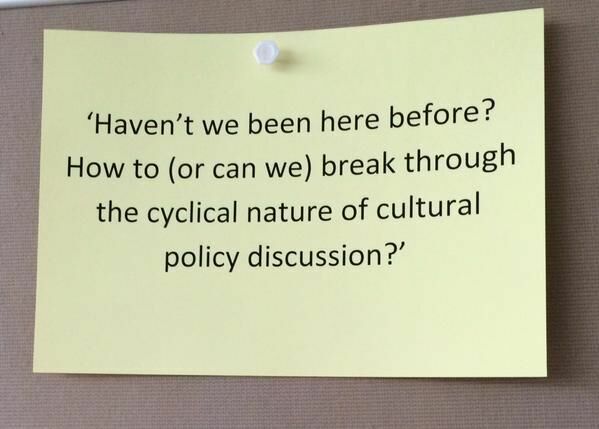 In this respect, they bring a novel critical perspective to current policy, practice and scholarly debates on the connections between culture, place-making and the creative economy. 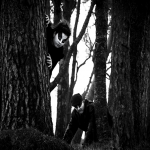 View powerpoint left, & listen to audio below. Image 1 is a post-it note from the symposium. 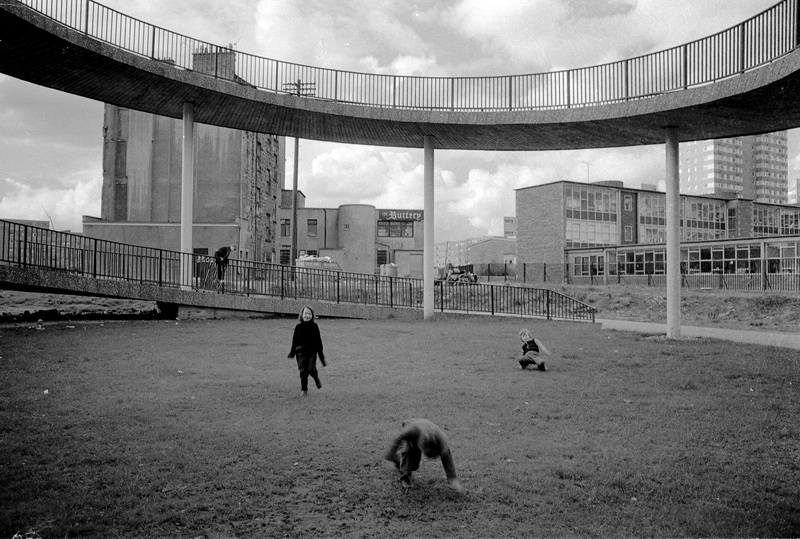 Image 2: ‘Anderston Walkway’, courtesy of photographer, Hugh Hood. 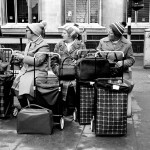 This entry was posted in UEP event by Susan Oman. Bookmark the permalink.